Written and directed by filmmaker Paul Thomas Anderson, “Phantom Thread” is an engrossing portrait of the posh, self-indulgent realm of fashion-driven aristocrats in impoverished post-World War II London. Given this setting, the narrative could have easily followed the straightforward three-act structure of most period-piece melodramas centered on insubstantial upper-class conflicts. But unlike the string of similar plotlines before it, “Phantom Thread” unfolded in a way that was impressive and unpredictable. The plot follows Reynolds Woodcock — a man who exudes the word “perfectionist” — a world-renowned dressmaker in 1950s London, played by Day-Lewis. He and his sister Cyril, played by Lesley Manville, have built the finest upper-class dress shop in all of Europe, suited for only the most privileged and wealthy women of society. Reynolds devotes his life to his craft — transfixed by the intricacies of dressmaking. He is a man advertently obsessed with method — going so far as to scrutinize anyone who disrupts his work or thought process with minor irritable acts, such as chewing food loudly or putting too much butter on his toast. Many elegant and beautiful women come and go through Reynolds’ life, until a young, obstinate woman named Alma, played by Vicky Krieps, arrives — becoming his muse and sole object of desire. As his love for Alma grows, Reynolds finds himself deviating from his lifelong dedication to tailorship and is forced to confront his life, dreams and desires. 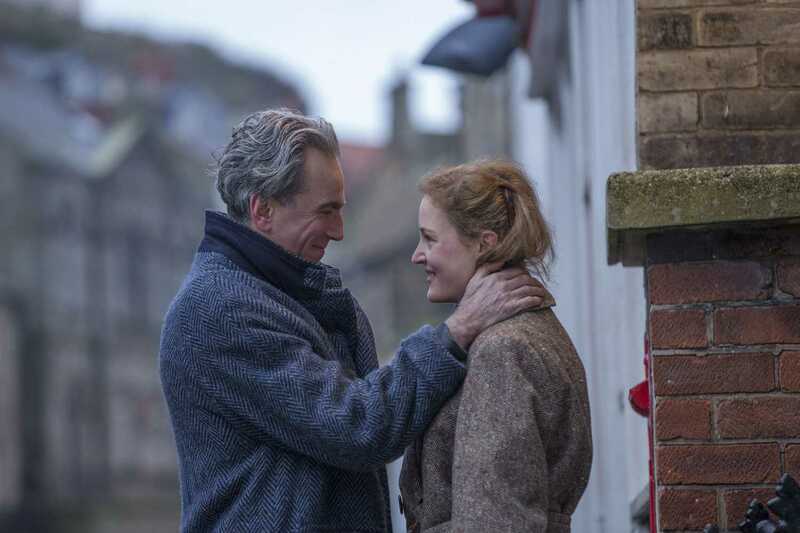 “Phantom Thread” is Anderson’s ninth film and his most distinctively personal work yet. The film’s theme is one any aging artist can relate to — creative desire breeds a tendency toward hubris, which in turn presents barriers to emotional intimacy and stable relationships. After watching “Phantom Thread,” I could not help but think of Federico Fellini’s masterpiece “8½,” which pulls on similar thematic strings of idiosyncratic obsessions and tells the story of a man who becomes lost in his personal creative endeavors. The subliminal feeling of happiness and satisfaction captivates us and drives us to perfect our crafts, whether it be sewing, writing or swimming. But both films demonstrate the toll this can take on our mental state and overall demeanor. Reynolds and Alma are both polarizing and eccentric characters, whose dynamic provides for some oddly intense encounters. In a scene near the beginning of the film, Reynolds, Alma and Cyril sit around a table eating breakfast. Reynolds is eyeing his dress sketches, contemplating flaws in the design, when a brash crunching sound in the background causes a vein to appear on Reynolds’ forehead. Cyril notices this, giving Reynolds a familiar eye roll. The camera pans to Alma — heartily munching on buttered toast. Reynolds looks at her with a savage glare, telling her to mind her chewing. She tells him jarringly that she is simply eating her breakfast. The exchange continues sourly and eventually results in Reynolds storming off and ignoring Alma for ruining his morning routine. The sourly punctilious nature of Reynolds and the intrepid, headstrong attitude of Alma are at odds throughout the film, presenting unconventional situations that perpetuate and keep the viewer constantly wondering if their relationship will break apart. Despite Anderson’s enthralling story, the pacing of the film is dreadfully slow, and certain scenes could have been shortened or completely cut to maintain tension. I found scenes with long, blank staring between the two protagonists to be particularly disengaging — dragging the narrative tension to a halt when used repetitively. The film was revived by all-around impressive performances. “Phantom Thread” is very much a character study from beginning to end, so it was imperative that all actors capture the essence of their characters. Day-Lewis delivers a mesmerizing performance as Woodcock — which was correctly recognized with an Oscar nomination. As with every role he takes on, Day-Lewis brings a certain rich complexity to the character he inhabits, identifiable in Woodcock’s thoughts, mannerisms and emotional state from the minutia of his actions. Assuming that Day-Lewis’s claims of “Phantom Thread” being his last film are true, his performance is a worthy end to the legendary and influential actor’s career. With “Phantom Thread,” Anderson tailors an elegant love story of creative fidelity and floundering isolation. It’s a masterfully directed film with a quiet and personal story, filled with rich moments and interesting character arcs. It just doesn’t quite have the emotional punch of his other works.